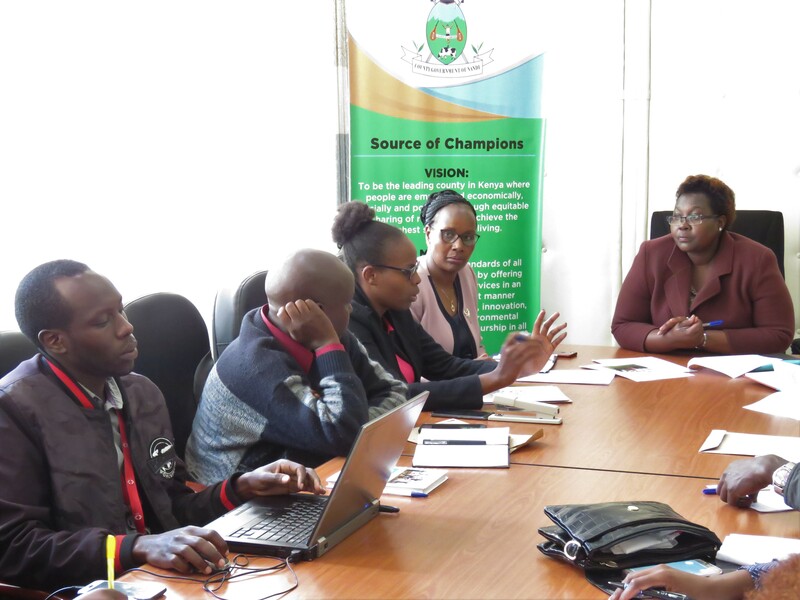 The county government of Nandi is in close partnership with Red Cross society of Kenya in finding the possible disaster mitigation strategies. It is one of the counties that are vulnerable to more forms of disasters. In the recent past, some parts of the county like Tinderet, Aldai, Nandi hills and some parts of Chesumei have been adversely affected by landslides and mudslides as a result of heavy rains experienced as from March 2018. This has resulted in the socio-economic impact of the same in terms of loss of life and property, transport inconvenience and disruption of infrastructure and communication. During a meeting with the red cross concerning shelter reconstruction. This phenomenon (landslides and mud slides) is exacerbated by increased precipitation and decreased counter forces due to depletion of vegetation cover and human activities. It occurs when a large amount of water causes the rapid erosion of soil on a steep slope. Settlement and resultant human activity on steep slopes compounds the situation and puts human life and property at risk during periods of heavy rain. Both short term and long term mitigation strategies are put in place to solve the current state problems and prevent future occurrences. Following post mud-slide assessment, some households that were severely damaged need to be constructed to enable owners settle to their farms. 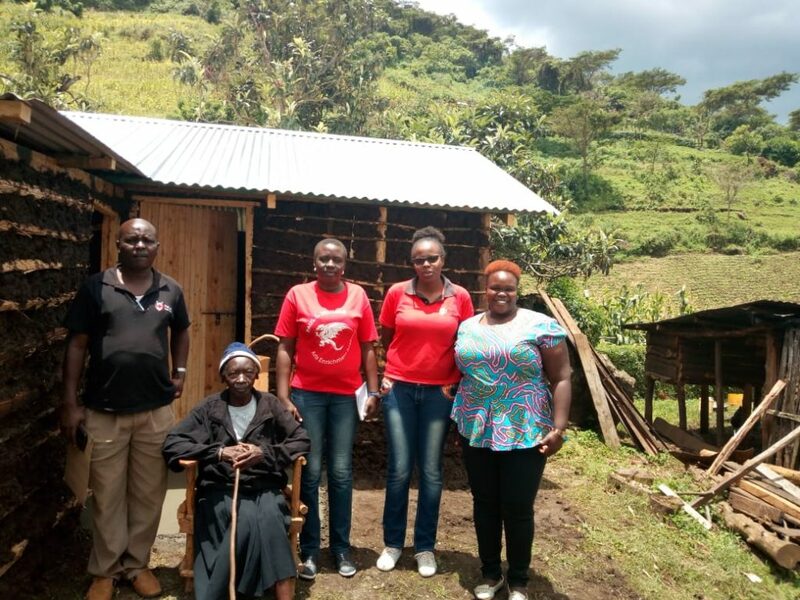 The team comprising of members from Red cross society and Nandi county disaster management have gone ahead to map and identify the households that were severely affected by the mudslides. They have also reassessed the suitability of the reconstruction and managed to identify 23 households (13 in Tinderet, 6 in Nandihills and 4 in Aldai subcounties) as beneficiaries of shelter reconstruction by the Red Cross Society. The community member were given the opportunity to decide on the type and design of house they wanted. Having discussed with the beneficiaries, it was agreed that safer grounds to be identified for the reconstruction of a three roomed mud house with iron sheet roof, a concrete floor plan and separate set of washrooms. A sample house structure has already been constructed whereas the whole process is set to be completed before end of November. The community is therefore encouraged to take charge and support this project. The team also came up with strategies to be implemented so as to reduce such landslide related dangers. These strategies are; policies governing land and vegetation management, good slope management practices, safe shelter awareness, implementation of vegetation management program, adopt appropriate farming practices, evaluate slope nourishment, develop monitoring systems and tools, making routine observation and assessment of slope conditions to ascertain its stability, advice on settlement along the slopes and civic education on disaster preparedness and management. Sample shelter reconstructed by red cross and county disaster management team. Nandi County like other counties, has always been vulnerable to more forms of disasters which need rapid response in order to avoid massive destruction of lives and property. Therefore, the county government of Nandi will soon be establishing of a full combat County Disaster Action Unit. This unit should be able to do comprehensive hazard mapping and zoning on all risk places in the County as well as developing Contingency plans and coordinate all the emergency response for any hazardous occurrences within the County as a way of ensuring safety for the citizens. World Rabies Day is an International event that takes place each year on September 28. World Rabies Day aims to raise awareness among the community about the impact of rabies on humans and animals, provide information and advice on how to prevent the disease, and how individuals and organizations can help eliminate the main global sources. Rabies is a neglected disease with devastating consequences. Comparatively, the cost of post-exposure treatment in human is approximately 50 times higher than prevention through vaccination of the animals which are the main source of the infection. This year, the departments of livestock, health and sanitation and that of Sports in partnership with Sharon Live On Foundation http://sharonliveonfoundation.org will hold Nandi Run 4 Rabies 10km race and 2km Kids race on September 22 at the Kapsabet showground to create rabies awareness in Kapsabet ward, Emgwen sub county. Speaking in his office during a meeting with officials from Sharon Live On Foundation and Athletics Kenya – Nandi Chapter, the county director for health Dr. Joseph Kangor said rabies is a big threat to the lives of Nandi residents, but some dog owners don’t know the risks of keeping a dog which has not been vaccinated. The county government is now spearheading vaccination programmes which will be held in all major towns, as well as rural settlements in Nandi. “Regardless of whether or not the area is accessible by road, we will try to reach out as far as possible, especially areas along the sugar belt since the regions have high cases of dog bites owing to the fact that sugar plantations are home to stray dogs,” said Dr. Kangor. Dr. Kangor further called for partners to join in the fight against rabies saying the human anti-rabies vaccines are too costly. SANG ON ROUND TABLE WITH DAIRY FARMERS TO CHART WAY ON MILK PROCCESING. Plans to establish the first ever milk processing factory in Nandi has kicked off after the County Government of Nandi begun to hold a series of consultative meetings with dairy stakeholders in the county to lay down all the necessary strategies. In a consultative meeting held in Kapsabet with all the Dairy Cooperative Societies in Nandi on Tuesday, Nandi Governor Stephen Sang said the County government has allocated 115 Million shillings in the 2018/2019 financial year towards the establishment of the milk processing plant and the process of building the factory and acquisition of machines will begin before the end of this year. However, Governor sang lamented that low volumes of milk being produced currently could adversely affect the 200,000 Capacity factory once it is operational. Sang said the current capacity of milk produced stands at 51,000 Litres only and there were need for the farmers to improve the productivity to meet the capacity of the processing plant. 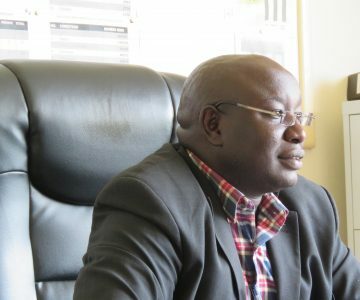 The county boss said the his administration will continue to work tirelessly to ensure that the daily milk production targets are met as the construction of the milk factory gets underway citing the already running Artificial Insemination program as one of the ambitious interventions by his government to ensure that high quality livestock breeds are sired for the dairy farmers. 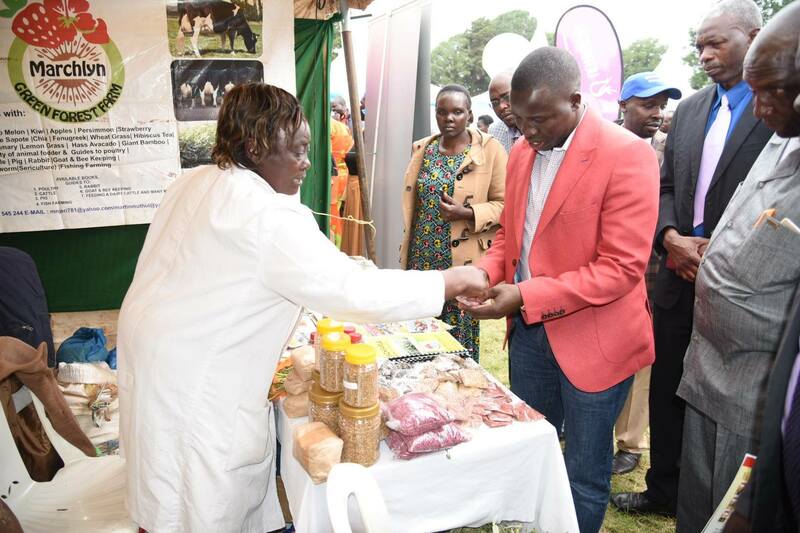 On the other hand, Dairy farmers lauded governor Sang’s efforts to transform the County’s Agriculture sector pledging to put together their efforts to ensure the success of the Value Addition Strategies laid down by his government. It is estimated that nearly 17,000 households in Nandi practice small scale dairy farming with an Avarage milk production standing at a paltry 3Litres per household. Apply for internship through internships.nandi.go.ke Now! 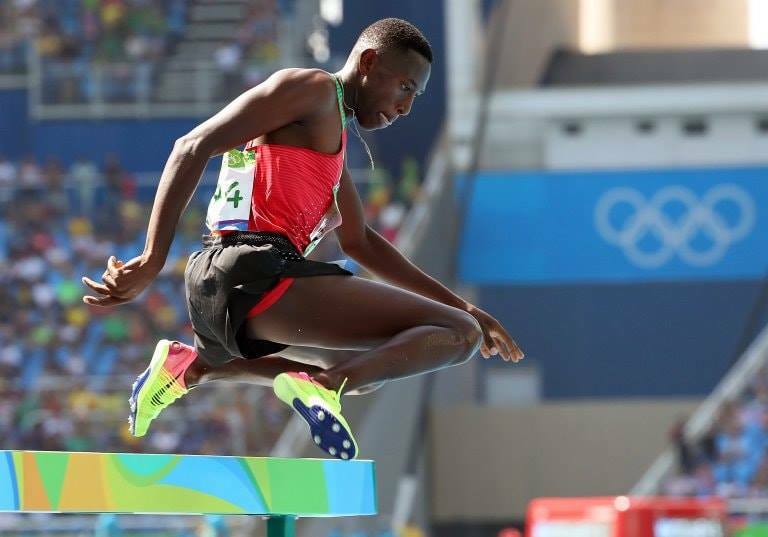 Nandi’s finest and 3000M Olympic champion Conseslus Kipruto won Kenya a second Gold Medal in the ongoing Africa Athletics Championships in Asaba, Nigeria. Nandi County prides in nurturing world’s best athletics that has continuously lifted Kenya’s banner high in the world of athletics. Stakeholder’s forum for Health Practitioners in Nandi County. National Land Commission will conduct a 4 day Historical Land Injustice session at A. I. C Bible College starting today, 10th July at 10.00 Am. The team comprising of 4 commissioners led by Dr. Tororei will be hearing specific summons for each of the 20 claimant groups. H. E. Governor Stephen Sang tours Tinderet Sub-County to inspect on-going county government projects and interact with the locals. He inspected the on-going road construction that will link Nandi and Kericho counties, delivered a coffee pulping machine and launched a cooling plant in Mbogo Valley, launch Kapkoil water project in Kimatgei among other activities.